A salute to the men and women that serve our country! 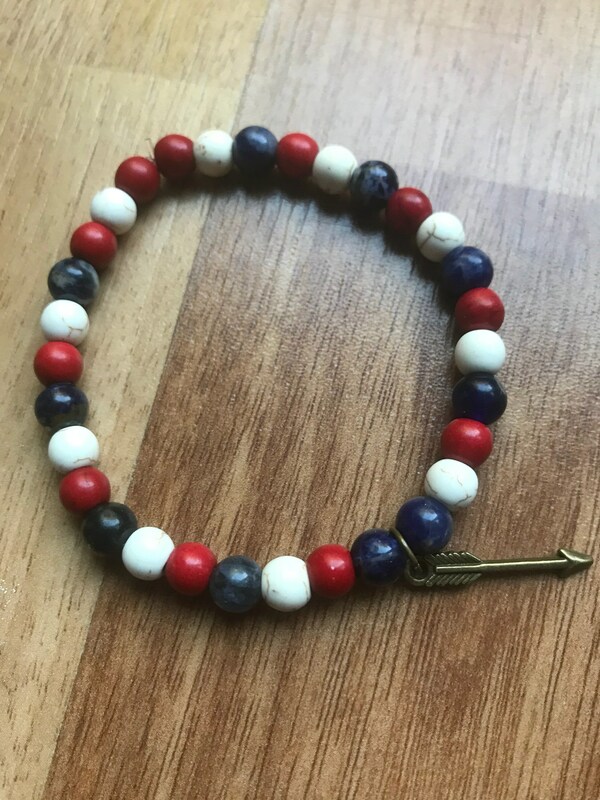 These make excellent gifts and fundraiser! 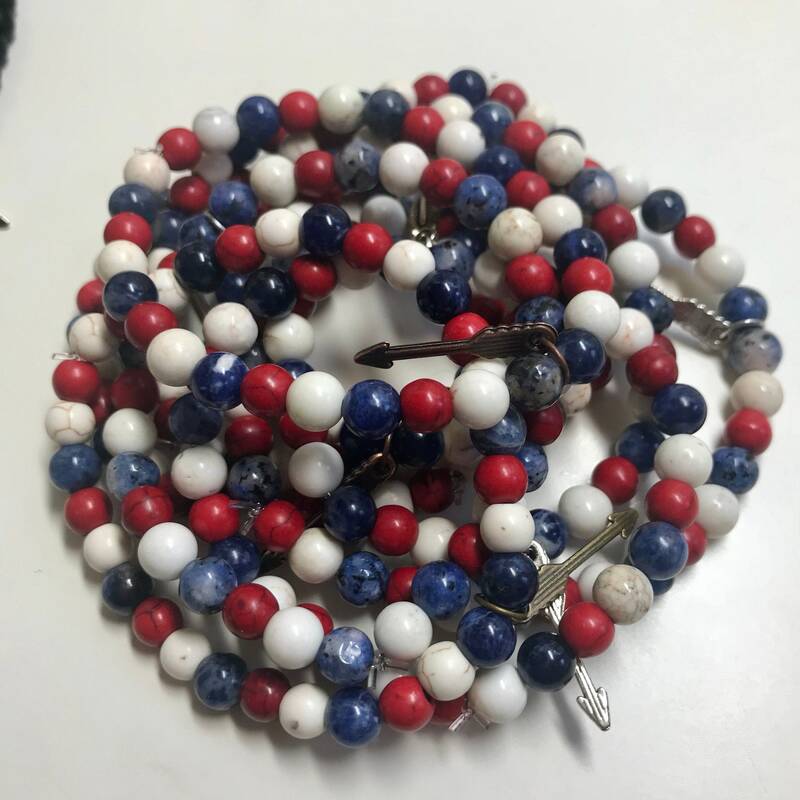 Contain gemstone beads of red, white and blue howlite with a arrow to signify forward momentum and presence. Bracelets are strong and stretchy but please be gentle putting on and removing! Comes in an 8 inch men’s size and a 7 inch women’s size. If you need another size or kids size, please send me a measurement and I’ll be happy to accommodate you! Made to order, giftwrap available!